Founded in 1993, Dimensional Marble & Tile, Inc. is dedicated to the design, fabrication and installation of natural stone, mosaic, and high-end commercial tile fabrication and installation services. Highly respected among the largest commercial contractors in Maryland, Virginia and Washington, DC, Dimensional is one of only eleven companies selected for the MIA Accredited Commercial B Contractor Accreditation in the United States for natural stone fabrication and commercial contracting. The MIA Accreditation award recognizes companies that meet the industry’s highest standards for business activities, product knowledge, fabrication and installation. 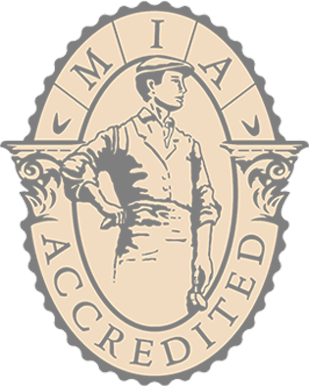 To earn the MIA Accreditation, Dimensional completed an extensive, process that included providing detailed documentation of its business and employment practices, numerous letters of recommendation, a written examination and site visits to the Dimensional facility and completed job sites by the MIA accreditation team. Dimensional’s market focus has included the most challenging and intricate projects required of a stone contracting company. Such projects involve complex stone shop drawings, detailed marble and granite fabrication as well as challenging engineered support systems. Dimensional has completed the intricate fabrication and interior installation of stone, installation of high-quality tile and commercial exterior stone cladding panel systems while delivering within strict time constraints for commercial, governmental, quasi-governmental and liturgical clients. Projects include shopping malls, public and private office complexes, aquatic centers, car dealerships, and restaurants, etc. 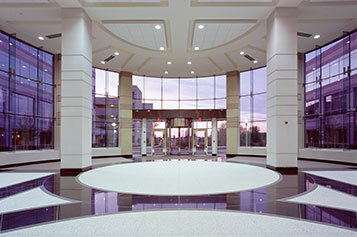 As a LEED compliant company, Dimensional values the environment. LEED compliancy is of paramount importance on all job sites.